A competitive study occurred between the users of Amazon Kindle Fire and iPad concluded with proving iPad users more satisfied in comparison to kindle users. The survey carried out by US research firm, Changewave revealed that out of 200 tablet-owning Americans 74 percent who own an iPad said that there were “very satisfied” with the device . But of the total kindle owners only 54 percent were pleased with the Amazon tablet. Kindle Fire owners were happy about the cost of the device its screen an ease of the use provided by it. 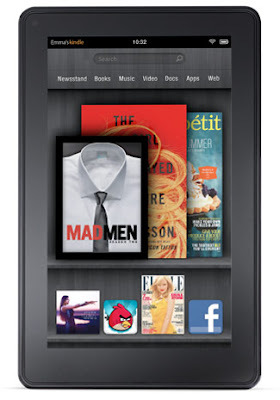 The kindle lacks in a volume adjustor button, camera and a smaller screen size than the iPad. Kindle’s battery life as well is too short that keeps it at bay in competition with iPad. And the Kindle fire owners were also not happy with the location of the on/off button.